An important function of law enforcement is obtaining the evidence necessary to support their reason for making an arrest. They often do this by performing searches of homes, vehicles, and our persons. We see this all the time on TV shows and movie. You may wonder if the officer needs to ask your permission to conduct. The answer to that is not exactly straightforward. Today, we want to discuss some basics of search and seizure laws so we can understand how they can be applied to your defense. If you are facing criminal charges, you want to do everything you can to get them reduced or thrown out altogether. One way that an Arizona defense attorney can do that is to show that the evidence being used against you was obtained during an illegal search, making any evidence seized unable to be used against you in court. When a police officer makes a vehicle stop or approaches someone, then need to have reasonable suspicion that a crime has been or is being committed. There is a fairly low threshold to meet for reasonable suspicion to be present. However, this is not enough to allow an officer to conduct a search. The next threshold that needs to be met for a search to take place is probable cause. Now, police can conduct a legal search if you give them permission, even if you are not under arrest. For example, if you have been stopped for a broken taillight but the officer suspects there may be drugs in the vehicle, they may ask you if they can conduct a search. If you say yes and they find evidence, they can legally use this to arrest and bring charges against you. You do not have to give permission for a search and should not consent to one if you believe you have been illegally stopped or detained. However, do not resist any attempts at detention as this will only make the situation worse. If an officer does not believe they have not reached the threshold for probable cause but still thinks something is off, they have options. They can obtain a search warrant which will allow them to conduct a search. For cases in which drugs are suspected during a traffic stop, they could call for a K9 drug dog to sniff out potential illegal substances. *Please note that an officer can seize any illegal items that are in plain view regardless of the reason you were stopped or detained. This is a legal collection of evidence that can be used against you. 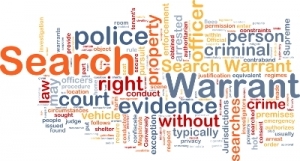 An illegal search does not mean the state makes it easy to suppress evidence. Prosecutors could argue that the officer made a “good faith mistake” and that they believed their search to be legal at the time. A judge can still allow the evidence to be used in court. Anytime you are searched, whether legally or illegally, we know it can be a scary experience. If you have been arrested after a search turned up supposedly illegal materials, you need to remain calm and secure a defense attorney as soon as possible. A skilled defense attorney will listen to your story and then examine the case against you, beginning with the reason you were searched in the first place. If a stop was unwarranted or the search conducted illegally, violating your Fourth Amendment rights, then a case can be made to have the charges dismissed. 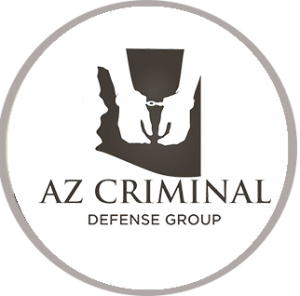 Click here for information on the reality of false accusations in Arizona. I didn't know where to turn with my legal issues but I was fortunate to find Chris Ariano. From the moment I met Chris I knew I could trust him unlike some other attorneys I had met with who seemed to only care about money. He always promptly returned my calls and emails and was patient and understanding with my fear of the process. What is Self Incrimination Under Arizona Criminal Law?